Prime Minister Hun Sen is orchestrating a crackdown on his political opposition. 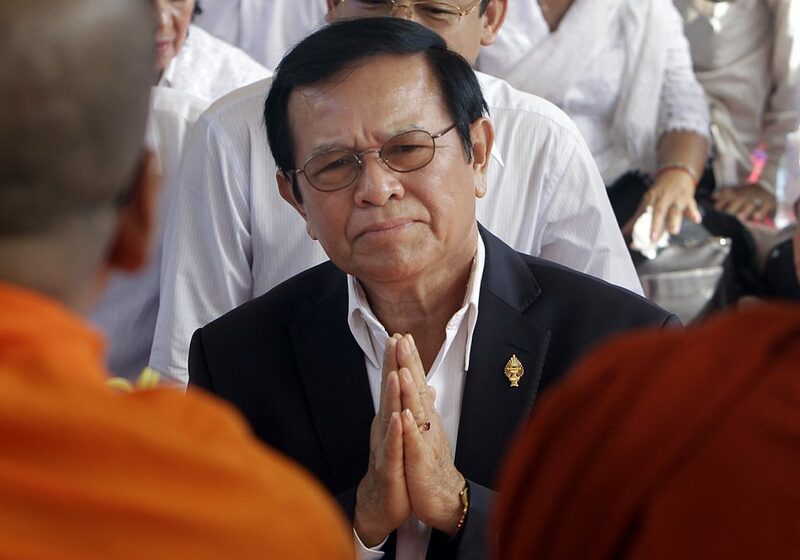 The Cambodian government submitted a petition to the Supreme Court on Friday October 6 requesting the formal dissolution of the main opposition party, the Cambodia National Rescue Party (CNRP). Based on spurious claims of treason and collusion with foreign powers to overthrow the government, on October 3 Prime Minister Hun Sen had ordered the arrest of CNRP leader Kem Sokha while also threatening opposition officials. As many as half of all CNRP officials have now fled across the border to Thailand and further afield, leaving the party teetering on the brink of collapse. CNRP’s deputy leader Mu Sochua finds herself in the unenviable position of calling for targeted sanctions from exile. With the upcoming Supreme Court decision set to go against them, the fate of the CNRP seems to have already been decided. Sok Eysan, spokesperson for the ruling Cambodian People’s Party, stated in the aftermath of events that, “if the [CNRP] is dissolved, its seats in the National Assembly will be allotted to other parties that took part in the election”. Both Prince Norodom Ranariddh’s Royalist FUNCINPEC Party and the Cambodian Youth Party have subsequently filed complimentary lawsuits against the CNRP in an overt effort to obtain favour, while turning a blind eye to Hun Sen’s embrace of authoritarian rule. However, in addition to a broader purge of critical Western media outlets and NGOs, the allocation of seats is of little consequence as Hun Sen’s capacity to reject democracy and solidify his near 33-year rule is becoming increasingly apparent. The CNRP came close to winning Cambodia’s general election in 2013 with a vigorous campaign resulting in a nearly 16% swing to the CNRP and a 9.3% swing away from the CPP. Amidst debate over alleged voter fraud, the CNRP used its newfound confidence to argue strongly against much of Hun Sen’s strongman governance. The government responded with increased efforts to undermine the opposition’s position, including crackdowns on government critics and rights workers. The intimidation campaign culminated in the July 2016 murder of prominent political analyst Kem Ley. Hun Sen’s government also targeted then CNRP leader Sam Rainsy, ultimately forcing his exile from politics on politically motivated charges of defamation and incitement. These measures have arguably inspired rather than quelled domestic frustration over a lack of adherence to democratic and humanitarian ideals. 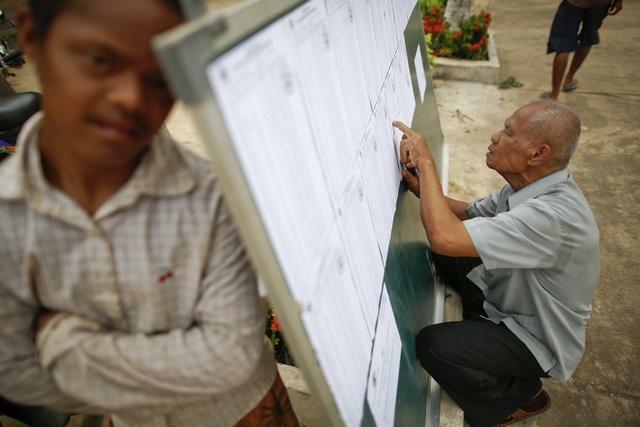 Local elections on June 4 saw the CNRP increase its position from 40 communes in 2012 to around 482 in 2017, setting the stage for a serious challenge to Hun Sen’s rule ahead of the 2018 general election. But a legislative initiative forwarded by the CPP to reform Cambodia’s Law of Political Parties has effectively put a stop to the opposition’s challenges. What was initially a bureaucratic document is now a mechanism of legalised corruption. Enacted in May of this year, the reform introduces a prohibition on anyone convicted of a crime from holding a top office in a political party and allows the state to dismantle any political parties deemed as secessionist or subversive. In this first exercise of the provision, the charge of treason and collusion with foreigners brought against current CNRP President Kem Sokha was based on videos from several years ago that showed him at a seminar at which he spoke about receiving advice from US pro-democracy groups. What would principally be regarded as regular facets of a free and fair contested election therefore appears to Hun Sen as part of a plot against his authority. In an effort to undermine such domestic collusion, Hun Sen stated in a speech that, “if this party continues to protect and defend this traitor, it means this party is also involved in treasonous acts and there is no need to allow this party to exist in our democratic society”. The implicit extension of Sokha’s indictment by affiliation and, in turn, the formal request to dissolve the CNRP represents a final measure to cement CPP dominance and ensure Hun Sen’s rule. 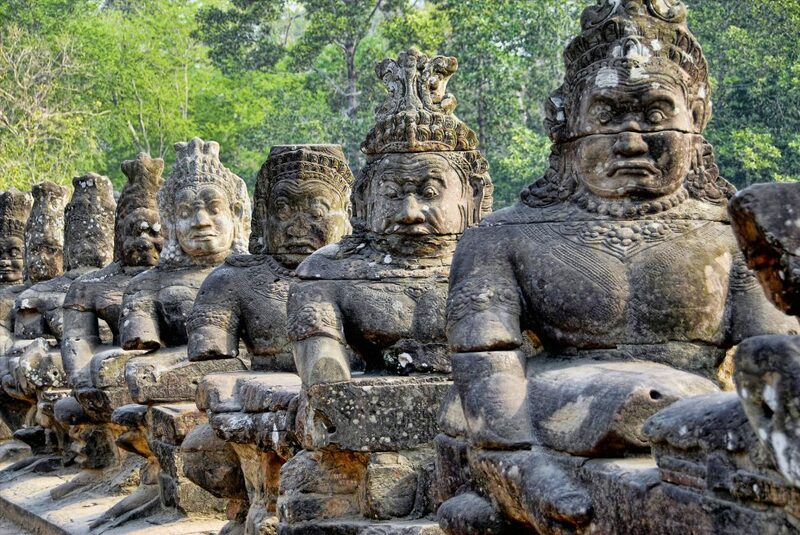 These events indicate that the three-decade status quo in Cambodia will go unchanged. In addition to the dissolution of the CNRP, Hun Sen’s government expelled the National Democratic Institute—a US-funded NGO—suspended some 20 radio stations that aired content by US broadcasters and targeted the English-language Cambodia Daily with a hefty tax bill, leading to the newspaper’s closure. The moves have led to a serious deterioration in Cambodia’s relations with the West, particularly the US and the EU, which have so far joined a chorus of condemnation while taking Mu Sochua’s recommendation of sanctions into consideration. But with Chinese foreign investment and donations acting as a bulwark against international pressure, the likelihood of further restrictions on free media and democratic ideals seems high. Yet claims that Cambodia is descending into “Outright Dictatorship”, as appeared on the front-page headline of the now defunct Cambodia Daily, disregard the country’s political context. Cambodia is doing comparatively well compared to its neighbours. Elections have not been held in Vietnam in decades, nominally communist Laos faces ongoing international condemnation for its human rights record, and Thailand has been under a military junta since 2014. The tolerance of elections in 2018 is therefore a positive signal as the Cambodian people will have the opportunity to voice their concerns via the ballot box. Whether a viable alternative to the CNRP is allowed to emerge come July will be a more pressing issue for those hoping to vote against the government. Discontent among these now sizable portions of the population may inspire a more tangible backlash from protest to civil unrest in the event of further crackdowns, an outcome that Hun Sen would hope to avoid. How this prospect will determine the government’s action over the coming months is unclear. Given that the CPP is unlikely to hand over the government willingly or peacefully there are legitimate concerns Cambodia may be headed the way of its neighbours. As Hun Sen himself has stated, in an echo of his 1997 coup to seize government, the prospect of civil war is likely given that, in his view, “the only option is that the CPP must win elections at all stages”. Yet the popularity of the CNRP’s position represents a marked divergence from the recent political trend. A popular momentum has been found that, for once, represents a viable alternative. 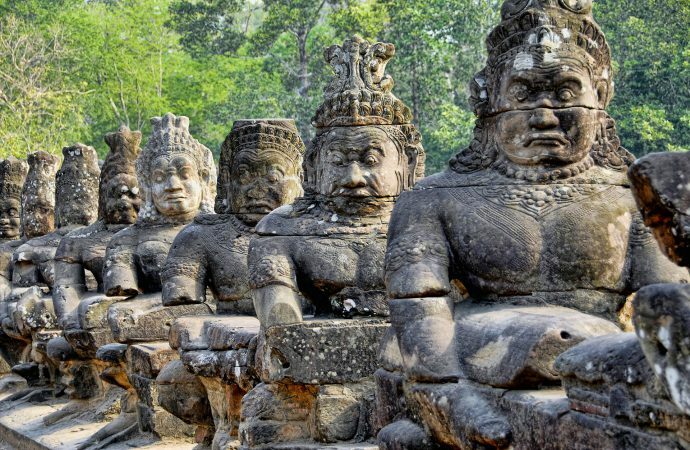 Should its supporters find their feet, a new course for Cambodia will not be far behind.